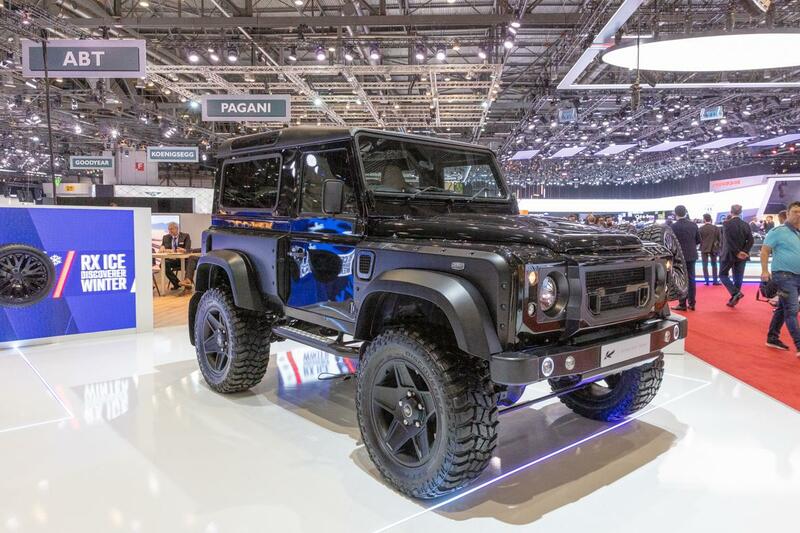 At any iteration of the Geneva International Motor Show (GIMS 2019) you can expect the heavy hitters of the automotive industry to make some of their biggest, most exciting announcements and the 2019 iteration (being held from 7-17 March at Palexpo in Geneva, Switzerland) is no different, with attendees able to view up close and personal the latest prestige cars on display. As you’d expect, GIMS 2019 features launches of new models, as well as updates on existing ones, and there’s no shortage of either this year in the alpine city. Amongst a range of updates, Mercedes-Benz launched their newest models – the GLC 300, the CLA 200 and the V300d van. Likewise, BMW launched electric iterations of the 3 Series and 7 Series, namely the 330e and the 745e. BMW also revealed the X5 xDrive and M760Li xDrive at the show. 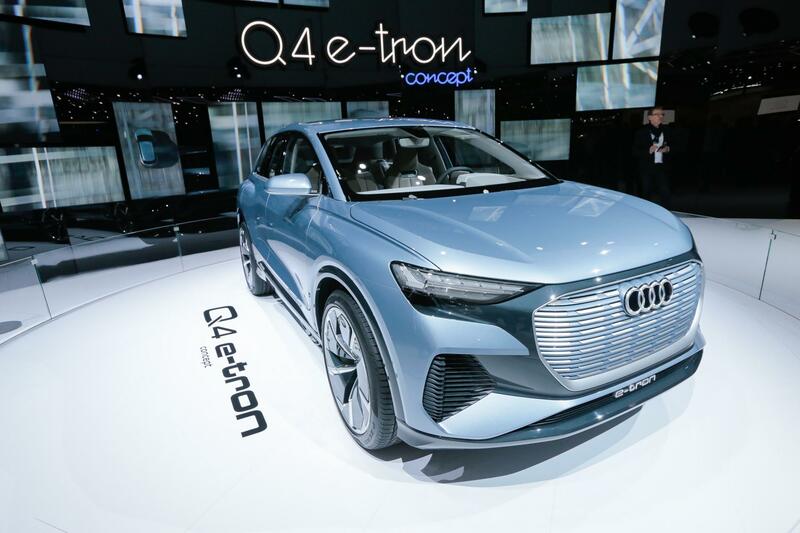 Keeping with German luxury brands, Audi revealed its latest models: A6 TFSI e, A7 TFSI e, A8 TFSI e and Q5 TFSI e, as well as the Q4 e-tron Concept, its fifth electric car which is due to go into production in 2020 and has a reported range of 450km. Meanwhile, automotive enthusiasts will be keen to hear that Porsche launched its latest model of the classic 911 and the 718 range. These are the 911 Carrera 4S Cabriolet and 911 Carrera S Cabriolet and the 718 Boxter T and 718 Cayman T.
Kahn Design vehicles are always popular at our showroom, where we have received and sold plenty of these custom cars, and the new Kahn Design Chelsea Truck Company launch is especially exciting are the two vehicles the custom car brand has launched. The Series 2 Longnose is CTC’s incarnation of the iconic Land Rover Defender Series 2 model. A superlative expression of the Land Rover Defender-tougher and more recognisable than any of its contemporaries. The Vanguard Edition is another exciting custom car job, based on the Land Rover Defender 90, now with a wider wheelbase, taller and a redone interior. 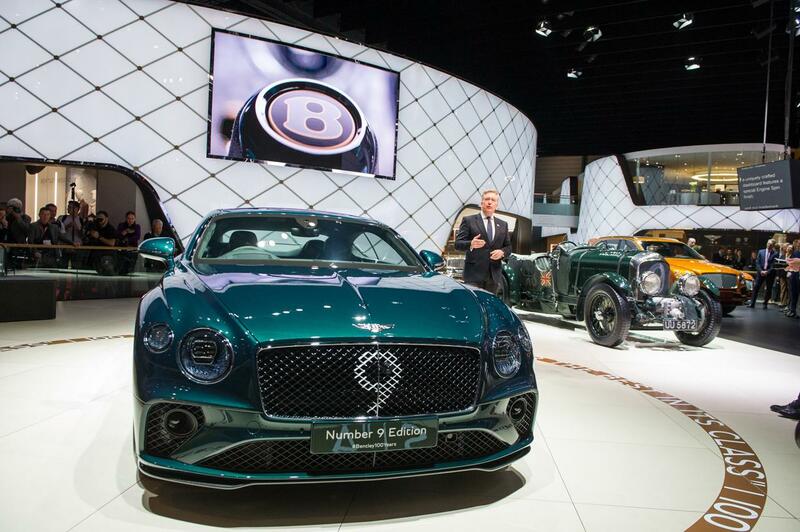 British luxury car specialist, Bentley, has launched three vehicles at GIMS19: the Bentayga Speed; Continental GT Convertible and the Continental GT Number 9 Editions by Mulliner. The highlight of these is the limited edition Continental GT Number 9 (pictured below), of which only 100 of these custom cars will be built. The Speed is the latest iteration of Bentley’s SUV model and the highest spec available, boasting a 6.0-litre W12 engine while the Continental GT Convertible is the new soft top of the four-seater Continental GT. The Continental GT’s numbers are jaw dropping: The 6.0-litre, 12 cylinder engine delivers 635 hp and 900 Nm of torque. It drives with eight-speed dual-clutch transmission and four-wheel drive. 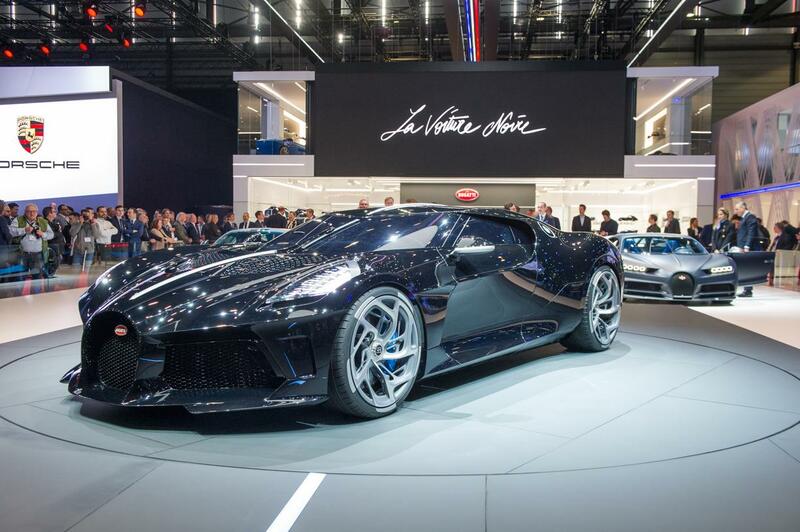 Top speed is 206mph and will accelerate from 0 – 62mph in 3.8 s.
GIMS 2019 heralds a newcomer to the prestige sports car scene – the retro design inspired Piëch Mark Zero electric coupe which makes its worldwide debut at the show. 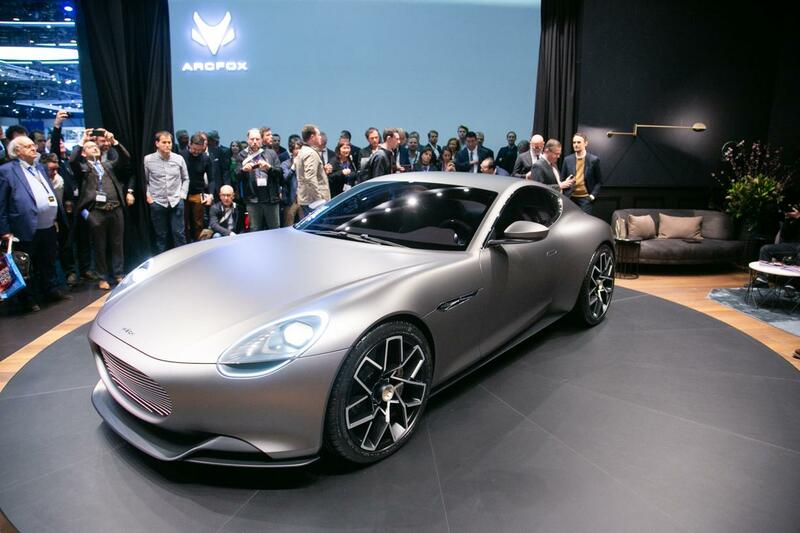 Named after Ferdinand Piëch, the grandfather of the founder of the new luxury car maker, the Piëch Mark Zero delivers revolutionary battery performance, reportedly able to recharge to 80 per cent in five minutes and offers unrivalled interior luxury and is. The four-wheel drive car is also capable of delivering 610 hp. 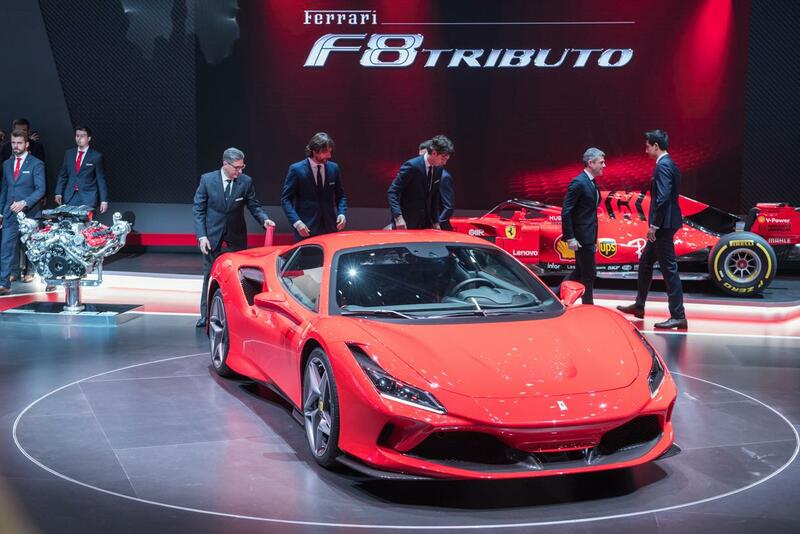 Italian supercar brand Ferrari launched it’s F8 Tributo, the successor to the 488 GTB. The F8 boasts a 3.9-litre V8 rear-mid engine the generates 720 hp – 50hp more than its predecessor. You’ll achieve 0 – 62mph in about 2.9 seconds in the F8 Tributo and the supercar has a reported top speed of 211mph. French Car maker Bugatti stole the show, however with the revelation of the La Voitre Noire (The Black Car), which is a one-off production to celebrate the car maker’s 110th anniversary and has been sold to a private collector for £9.4-million, making it the world’s most expensive car. The private collector will enjoy the 1500 hp the 8.0-litre engine generates. Bugatti has also revealed a limited edition of the Chiron the Chiron Sport ‘110 ans Bugatti’, of which only 20 will be produced. Blink and you’ll miss one of these ultra-rare cars though – the supercar is powered by a W16 engine capable of producing 1500 hp and 1600 NM of torque, giving the Chiron Sport a top speed of 260 mph. To view the most desirable cars in the North West, head on to the Hippo Prestige showroom to view some of the most desirable used prestige and specialist cars in the UK. Call us on 01254 916 450 to discuss your luxury car requirements.